The Labrador Retriever is a dog with a strong and medium build. It has an athletic well-muscled get up - with no excess fat. This get up enables it to function for long hours under tough conditions. 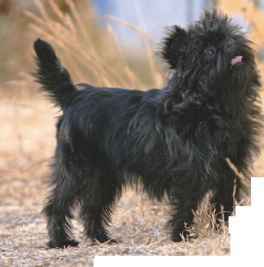 Its stable temperament makes it an ideal family dog. Its mental characteristics and physical features make it a winner in the show rings too. A distinguishing feature about the Lab is its tail. Best described as an "otter" tail, this tail is thick at the base and gradually tapers towards the tip. It is of medium length - no longer than the hock. It follows the top-line of the dog when at rest and in motion. It gives the Lab a beautiful flowing line that starts from the top his head to the tip of his lovely tail. Another distinguishing feature about the Lab is its beautiful coat. You can only gape in open-mouthed wonder at Mother Nature's generosity in her creations. The Lab's fur coat is so unique to the conditions that it originally lived in! The Lab is endowed with a short and dense water repellent coat. This gives a rather hard feel to the hand. Beneath this is a soft weather resistant undercoat that gives the dog protection from water and cold conditions. The coat can be wavy down the back. Woolly, soft silky coats, or slick coats are just not true of this fine breed!